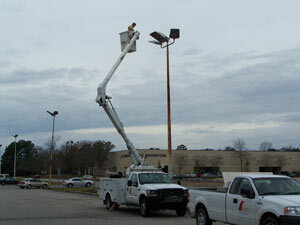 Atlantic Electric, LLC specializes in parking lot lighting repairs and maintenance. We have bucket trucks that can reach lights up to 45 feet high. 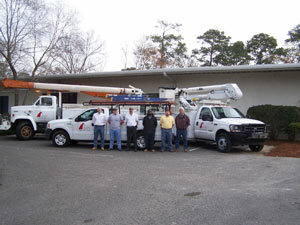 We offer competitive rates and prompt service with our fleet of bucket trucks. Atlantic Electric, LLC also offers complete capabilities for outdoor and parking lot lighting design. Dark Sky ordinance have you confused? No problem, we offer turnkey design and installation to comply with your local dark sky ordinance. Call our service hot line for more information (843) 460-1200.